The hottest ticket in town is tonight's sold-out show at First Avenue by the Minneapolis band, Poliça. Formed just a few months ago, the quartet has generated so much excitement with its cavalcade of electronic effects and live instrumentation that it released its new album, "Give You the Ghost," several weeks early. The wizard behind the band, Ryan Olson, might be the most eccentric — and disheveled-looking — impresario in the local music scene. Ensconced in a dingy third-floor Minneapolis bedroom studio surrounded by computers and assorted musical gadgetry, and air thick with cigarette smoke, he only agreed to talk about the band if he wasn't photographed, and if he could digitally disguise his voice. "That's the way I'm just going to be represented on the radio," he insists, sounding like a Mafioso in witness protection thanks to the digital processing. "I just don't want to be on the radio." Over the years, Olson has been the creative force behind some of the Twin Cities' most striking and influential bands, from the eerie electronica of Digitata, to the 25-member, 80s pop-inspired Gayngs. But Poliça might be his most fully realized creation to date — and he's not even a member. It got its start when Channy Leaneagh, formerly Channy Casselle, then a singer in Gayngs, approached Olson for advice. "I had songs that I was working on, like solo songs, and I asked him for help," she says. "We just wanted to try making something a little less orthodox than the stuff she'd done before," Olson says. Leaneagh used to front the very popular but now-defunct folk rock band Roma di Luna. Olson entranced her with some of the electronic beats and chord progressions he had made. Leaneagh sculpted melodies to match, and mouthed sounds which eventually became words. "I'll just write tons of things in general and then the ones that Channy wants, then we'll utilize," he says. Drew Christopherson, one of two drummers in Poliça, said Olson pretty early on envisioned more than just a Channy Leaneagh solo project. "Ryan's head kind of sees the big picture from the beginning, and I think what started out as these bare bones electronic and vocals tracks, in the back of Ryan's head he's starting to hear drums and bass and all the stuff he wants to add later," Christopherson says. In fact, not long after Olson started producing songs with Leaneagh, he asked bass player Chris Bierden over to his house to lay down some tracks. 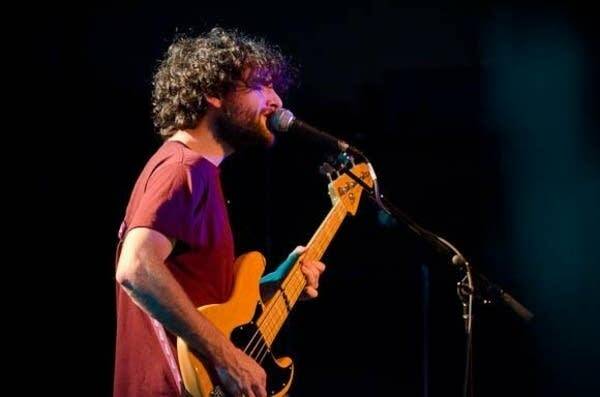 "He just said 'go,' and I started playing bass lines, and like a month later it was a band, and I was as shocked as anyone else that it had come together so quickly," Bierden says. After that, Olson recruited Christopherson, his old drummer in Digitata. "And he kind of sat me down and said 'this is your new band,' Christopherson said. "And I was like 'oh what are you talking about,' and he played it for me and I was instantly excited about it." 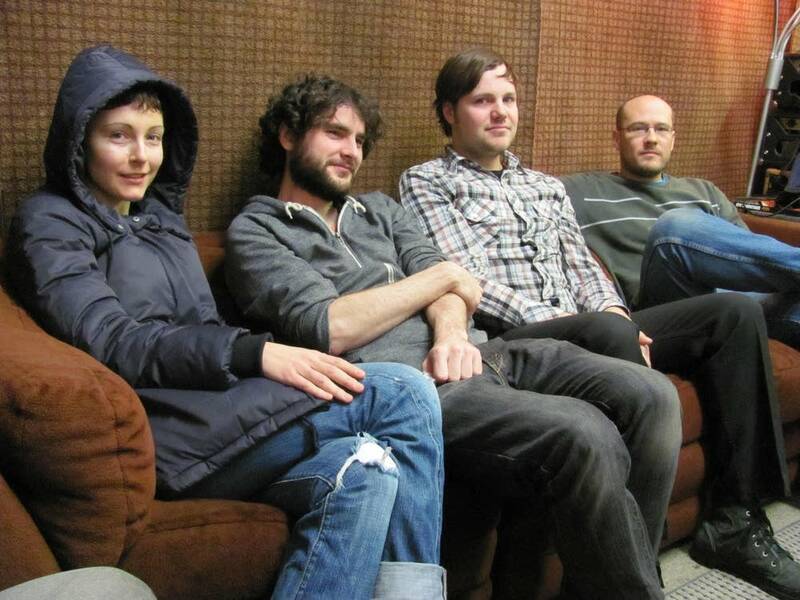 When Olson talked noted Minneapolis drummer Ben Ivascu into joining, Poliça became a band. The name "Poliça" comes from Leaneagh. It's Polish for 'policy,' and she sees it as a reference to an unwritten code that guides the members when they play together, as well as its work ethic. Poliça's music is a study in contrasts: Austere and abstract yet at times soaringly symphonic; repetitive and mechanical yet warm and organic. And, says Drew Peterson, there is this space in almost every song for the musicians to both support each other and shine. 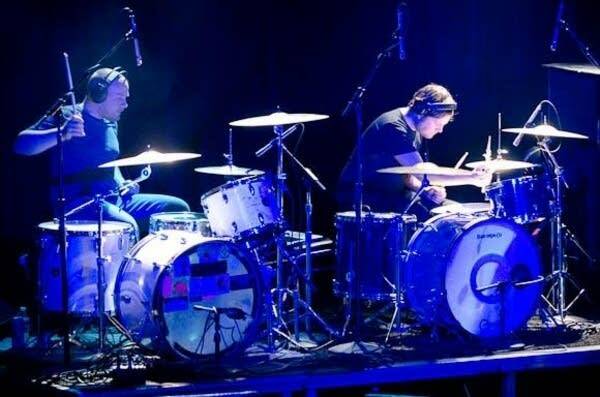 "There's so much room there for Chris to explore his ideas and not be over-powering, and me and Ben to find this backbeat together on each song and come out over the top in parts and just lay under the beat in other parts, he says. "Meanwhile, Channy's just gliding over everything." Leaneagh's ghostly, mournful wail is at the heart of Poliça, but it's not her natural voice. She uses an effects pedal to add layers of reverb or delay to her singing, or to create three-part harmonies on the fly. Her favorite alteration comes via "Auto-Tune," which manipulates the pitch and smoothes out the movement of her voice from one note to another. "It adds a certain amount of drama, to me, and it adds some control and it makes my voice more an instrument, and not like, 'this is Channy's band,' " she says. "I'm just an instrument in this band with these other three guys, and my voice is sort of warping and moving to the sounds of the tracks," she said. "And I like the sound in this band and it fits to me, so that's why I chose to use it." Leaneagh pauses over the notion that the manipulation obscures her lyrics, as if drifting back on the songs on the new record. They reflect a tumultuous year in her life, in which she got divorced, and Roma di Luna, the band she shared with her former husband, broke up. "The words are very personal and they mean a lot to me," she says. "They probably don't mean a lot to anybody else. But they allow me to have a right emotion to sing the notes and portray an emotion that fits in with the music." The demise of Roma di Luna was heart breaking to its fans, who were eager to find out what Leaneagh would do next. 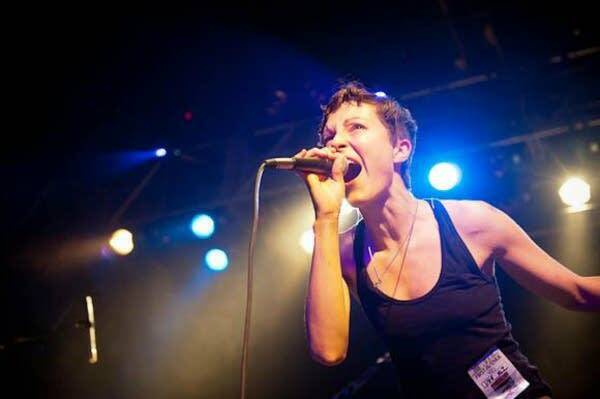 City Pages music writer Jeff Gage suspects that's a big reason why Poliça became a buzz band before its members had even shared a stage with each other. "People are interested in her to begin with," he said. "And you throw Ryan Olson into the mix, even though he's not actually in the band. You know I feel like, those are two of the bigger names you could have in a local group together anyways, and then there's actually something to the music." Drummer Christopherson traces Poliça's "it" status to what he sees as a larger movement, a merging of audiences for edgy experimental music with people who like mainstream pop. And Poliça, with its blend of unusual yet accessible electronica, is well positioned to take advantage of that trend. Chris Roberts was an arts and culture reporter for MPR News from 1989- 2015.